Calls are going out for stricter gun regulation and changes to the Norwegian criminal code after the terrorist attacks on Oslo and Utøya, with police, politicians and academics welcoming a debate. When such a debate will be able to occur is more uncertain, with the American police chief in charge of the aftermath of the Oklahoma City bombings warning Norwegians not to be overly critical of police or emergency services at this early stage. The police have expressed a clear desire to boost gun control as part of an ongoing review of weapons regulations. Meanwhile, politicians from all parties represented in Parliament are keen to debate expected proposals to lengthen allowable prison terms and toughen other aspects of the penal code. 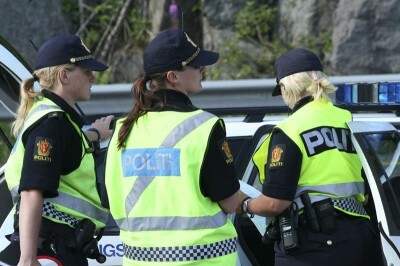 The Norwegian police are keen to strengthen gun regulation following the attack. A committee set up by the Justice Department last year already has been asked to come forth with suggestions for stricter rules regarding gun ownership by December this year. According to police figures, there are currently 1,229,436 registered guns owned by 484,298 people in the country, many for hunting purposes and also because many Norwegians are registered for civil defense duty or are in the military reserves. A semi-automatic Ruger Mini-14 rifle – described by Anders Behring Breivik in his online manifesto as “the most military-like rifle that is allowed in Norway” – is legal for hunting purposes after a hunting licensing test and with police approval. Around 500,000 hunters are registered in the country. It has not yet been confirmed whether Breivik had this particular type of rifle during the shootings themselves, but police have admitted that a semi-automatic weapon was used. The suspect may have bought such a weapon illegally abroad but even if he had purchased it in Norway, it is believed that he could have modified it illegally. In any case, police director Øystein Mæland has told Norwegian Broadcasting (NRK) that “based on the potential to harm that this type of weapon has, we want a tightening of the rules in relation to this weapon for civilians.” Breivik also had access to a Glock pistol by virtue of his membership in a pistol club, but it is also not yet known whether this weapon was actually used during the shootings. Ragnhild Bjørnebekk of the Norwegian Police University College told newspaper Bergens Tidende that she felt Norwegian law was sufficient in relation to weapons purposes, but that “better routines” were needed “in order to make the police aware of people with such serious psychological problems that they can hurt themselves or others.” Hunters or other licensed shooters who have fallen inactive should be followed up more closely, she added. Other changes are likely to be proposed for the country’s penal code. An opinion poll for newspaper VG shows that 65.5 percent of Norwegians feel the level of punishment for “the most serious offenses” is “too low,” and politicians have already reacted to the figures. Other countries in Europe have been far quicker to suggest changes to the law than Norway in the aftermath of the events in Oslo and Utøya. In Denmark especially, several proposals have already been made by political parties regarding weapon ownership, internet extremism and the purchase of fertilizers. One Norwegian expert, Frank Aarebrot, told Aftenposten that he believes such a debate will be unlikely in Norway until the commission reviewing the terrorist attacks has reported back, which could take a year. Aarebrot nonetheless suggests that the debate will include a discussion of the use of hidden surveillance. Commenting on the upcoming local elections, Aarebrot believes that such issues, and the issue of immigration, will “lie far down” on the list of acceptable discussion topics. Attitudes to immigration in particular have undergone a “quantum leap” after the country had experienced such a “nation-building event,” the researcher said, adding that this represents a “test” to the “discipline” of the anti-immigration Progress Party in particular. Meanwhile, a police spokesperson at the time of the Oklahoma bombings in the USA, Bill Citty (now Oklahoma’s police chief), has warned Norwegians not to be “overly critical towards emergency services or blame particular people” in the aftermath of the attacks. Citty told Norwegian Broadcasting (NRK) on Tuesday that such criticism can be counter-productive, while Oklahoma City’s former fire chief, Gary Marrs, agreed that emergency personnel need support instead. A commission has already been announced by the government to review what happened during the attacks, but criticism has been raised over why Breivik was not apprehended beforehand, the length of time it took police to reach Utøya, the lack of a police helicopter capable of transporting combat personnel, the problems of finding a boat to transport officers to Utøya, and communication problems between police and other emergency services. Citty concluded that Norwegians must “be constructive.” Marrs said “the people in Norway” should understand that those who responded to the crisis don’t need to be hit with accusations now. “They need need support, and they’ll need it for a long time ahead,” he said.